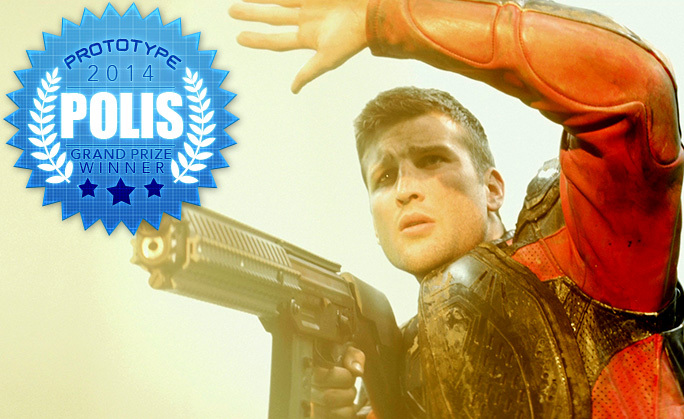 DEFY MEDIA AND NEW REGENCY ANNOUNCE THE WINNER OF SHORT FILM COMPETITION "PROTOTYPE"
LOS ANGELES - January 21, 2015- DEFY Media, a leading independent creator and distributor of digital content focused on the influential 13-34 demographic, along with New Regency, the company behind "12 Years a Slave", "Birdman," and "Gone Girl" today announced the winners of their short film competition "Prototype." Director Steven Ilous and screenwriter Daniel Perea, filmmakers of the Prototype-winning sci-fi thriller POLIS, have been awarded a feature film development deal with New Regency. "Prototype" was established to utilize DEFY Media's vast digital platforms in an effort to discover up-and-coming directorial talent and connect them directly with Hollywood. Eight promising filmmakers were awarded $20,000 each to direct their own action, sci-fi or effects-driven short film. DEFY promoted the competition to their passionate communities across digital brands including Screen Junkies, The Escapist and Break. POLIS was selected as the winner and the filmmakers will now have the opportunity to develop their short into a full length feature which New Regency will produce. "We were overwhelmed by the degree of talent that we found through the 'Prototype' competition and it was a challenge to select just one winner," said Pam Abdy, New Regency's president of production. "As a company that puts a premium on the strength of our filmmaker partnerships, we are excited to have found the emerging talent of Steven and Daniel through this process and can't wait to see what they create next." Set in the distant future, POLIS tells the story of a young telepath named David Porter whose search for his mother threatens to uncover a utopian society's horrifying secrets. The short is directed by Steven Ilous whose previous work in digital effects include the "Matrix" sequels and Robert Zemeckis' "The Polar Express." The original story was created by Daniel Perea, who was an undergraduate at Emerson College when he was discovered through this contest. Perea and Ilous then developed the project together. The film will be produced by Greg Siegel who executive produced the short films on behalf of DEFY. "DEFY currently has over 30 weekly shows produced in-house with dozens more in various stages of development," said Keith Richman, President of DEFY Media. "The success of Prototype is another proof point of DEFY's ability to offer the traditional media companies unique intellectual property and talent that can be meaningful to their core business." New Regency is currently in production on Alejandro Gonzalez Iñárritu's film "The Revenant" starring Leonardo DiCaprio and Tom Hardy, scheduled for release December 25, 2015 through 20th Century Fox. The company is currently in theaters with Iñárritu's Academy Award®-nominated "Birdman" (Fox Searchlight) and David Fincher's "Gone Girl" (Fox). DEFY Media is the leading creator and distributor of digital content focused on the 13-34 demographic and is continuing to expand into feature length content with the recent addition of free movie streaming on Break. DEFY is also currently in production on Higher Power, a full length action and effects driven feature co-produced by DEFY Media and Lorenzo di Bonaventura (Transformers, GI Joe) and will be directed by Hollywood filmmaker and VFX specialist Matt Santoro (300, X-Men Origins: Wolverine) from a script by Julia Fair. 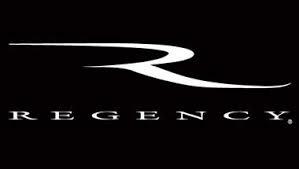 Founded in 1991 by renowned producer Arnon Milchan, New Regency is actively engaged in entertaining the world. The company has produced some of the most successful and critically-acclaimed films of all time with over 125 films and more than 50 television series in the company's vast library, including 2014 Academy Award®-winning Best Picture, "12 Years A Slave.â€� New Regency is also dedicated to continuing to foster its unparalleled filmmaker relationships and today boasts partnerships with most acclaimed and sought-after creative forces in the industry. Defy Media is the top digital producer and programmer for 13-34 year olds, and the largest owner of YouTube channels and leading media brands across the comedy, lifestyle and gaming verticals. Each month, Defy produced content generates 450 million video views and reaches 125 million viewers across our 49 million YouTube subscribers, 70 million unique web visitors and consumers of our apps, which have been downloaded over 22 million times. Defy Media brands include Smosh, recently named by Variety as the top brand for 13-17 year olds, Break, known for its top program "Prank It Forward", and ScreenJunkies, home to the highly influential digital series Honest Trailers. The world's top brands partner with DEFY to build immersive advertising solutions that deliver unparalleled access to this influential audience. With uniquely integrated capabilities in content development, studio production, distribution and promotion, DEFY Media is built for content delivery in the digital age. Please visit us at www.DEFYMedia.com. The eight Prototype finalists were awarded $20,000 each to shoot their own short films. One of these filmmakers will win the ultimate Grand Prize - a film deal with New Regency Productions to develop their short onto a feature film. Logline: In a future where robots fill our daily lives, a young girl loses her family to a killing machine which ends up becoming her only family. Check out our Q&A with the filmmakers here! Logline: Next Corp nears the launch of its greatest product ever: a mind app that removes our need for sleep. But when the son of the CEO discovers horrifying side effects, he must choose whether or not to bring down the giant corporation that his father built. Logline: Set in the distant future, POLIS is a sci-fi thriller about David Porter, a young telepath whose search for his mother threatens to uncover a utopian society's horrifying secrets. Logline: A wandering warrior protects a small town from marauders in a post-apocalyptic, dark fantasy setting. Logline: A tale of love lost in the distant future where people relive their fondest memories with virtual reality. Everything spins out of control for our Hero as the lines between reality and the virtual memories begin to blur. Logline: A man who works as a human punching bag to relieve others of their stress gets caught up in a noirish mystery pertaining to a strange device that everyone's after. Logline: An eloquent cowboy, four criminals, and a delicious bag of tortilla chips. Logline: A gritty Sci-Fi chase film about two young women, unjustly accused of murder, who escape custody and begin posting video content online in an attempt to vindicate themselves of the crime, find the real killer and evade a secret FBI manhunt. Good news! We've narrowed the submissions down to the Top 20. Stay tuned, we'll be announcing the 8 finalists in the next couple weeks! Hey filmmakers! Check back in October to see if you are one of our lucky 8 Prototype finalists! Thanks again to everyone who submitted! 3 days left. Get those submissions in! Fill-in-the-blank: The best films have ________.